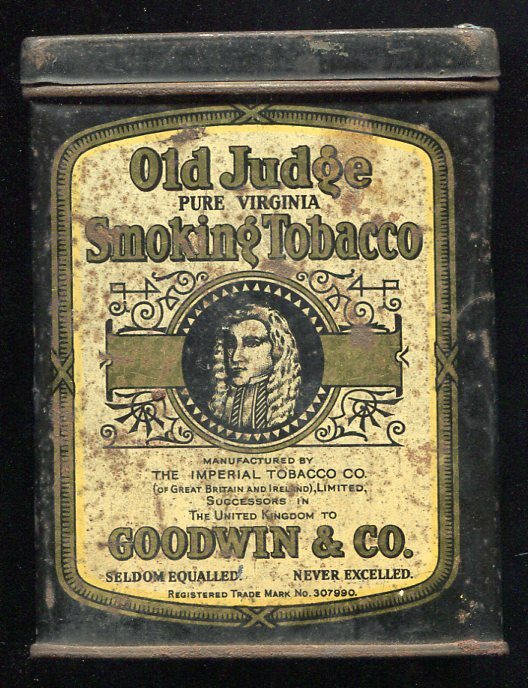 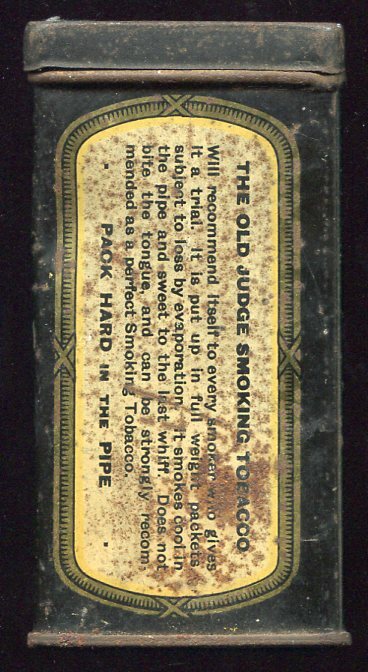 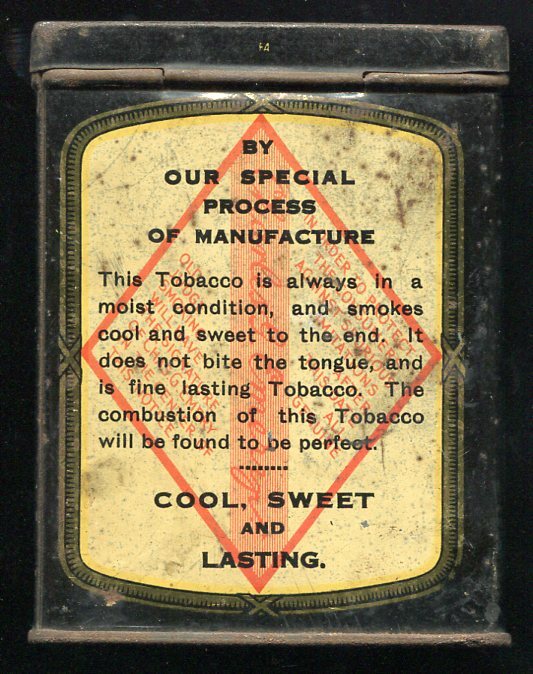 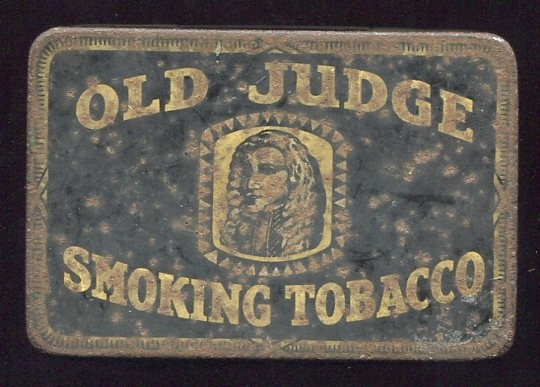 Old Judge Tobacco Tin, Pure Virginia Smoking Tobacco. 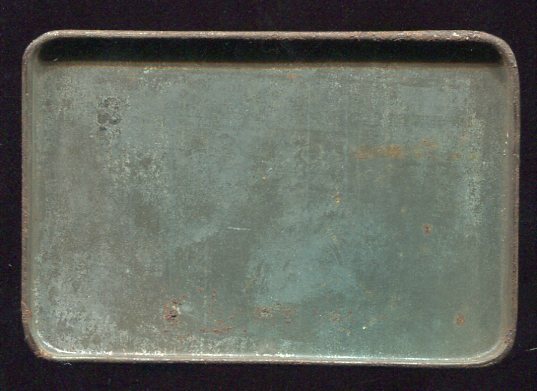 Measures 3" wide, 4 1/8" tall and 2" deep. 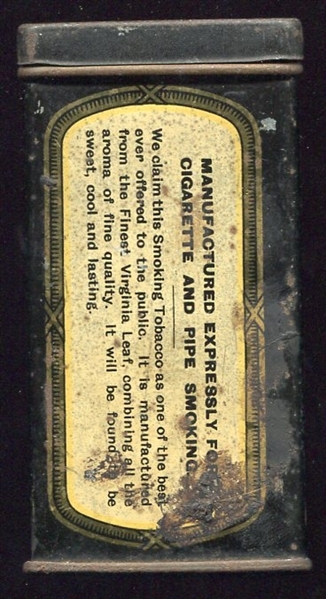 Nice original condition, has not been cleaned or damaged.